Golden amber color. Aromas and flavors of rye bread with caraway, graham cracker, honey, coriander, rose petal, amarena cherries in syrup, toffee popcorn, and lemon cookies with a slightly chewy, vibrant, dry-yet-fruity medium body and a warming, charming, medium-long finish with notes of leather, honeydew, ginger powder, candied walnut, sweet almond oil, and green peppercorns finish. A spot-on rye with elegant character and a spicy finish. 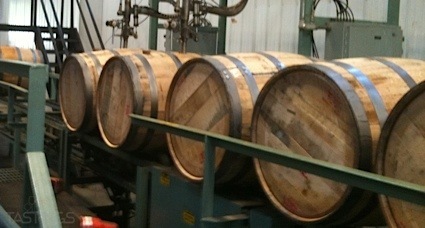 Bottom Line: A spot-on rye with elegant character and a spicy finish. 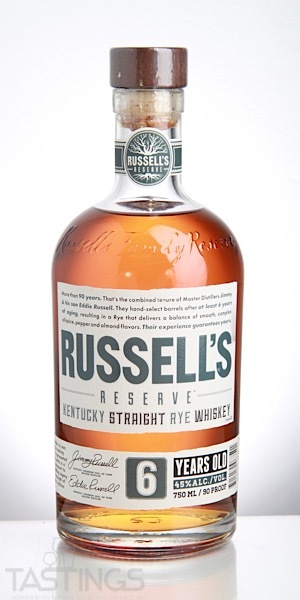 Russell’s Reserve Straight Rye Whiskey rating was calculated by tastings.com to be 93 points out of 100 on 8/22/2018. Please note that MSRP may have changed since the date of our review.